The whole Moody family hunkers down with beans and batteries, ready to wait out a storm. But along with massive rain and strong winds that knock the lights O-U-T out, Hurricane Elmer throws down ghosts, squirrels, and aliens. Spooky! 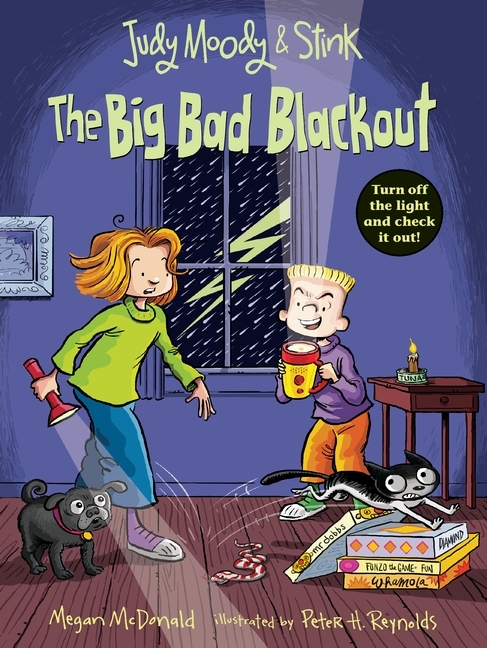 But musical board games, s’mores, and some good old-fashioned storytelling turn bad weather into a happy memory in Judy and Stink’s third full-color adventure.